Space Shuttle Columbia: Mission of Hope premiered January 2013. Learn why astronaut Ilan Ramon brought a Torah scroll on the Columbia space shuttle. 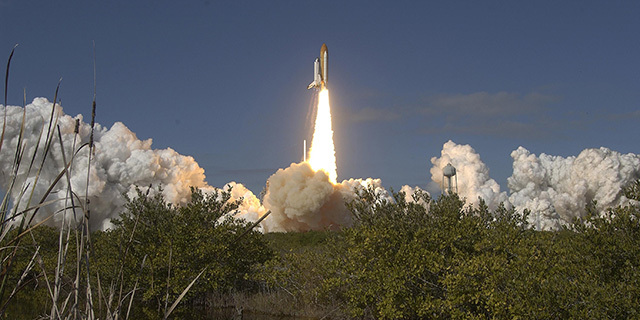 Space Shuttle Columbia lifts off from the Kennedy Space Center January 16, 2003. Space Shuttle Columbia: Mission of Hope was directed by Daniel Cohen and produced by Christopher G. Cowen with Executive Producers Tom Hanks, Gary Goetzman and Mark Herzog. The film was produced by Herzog & Company/HCO and West Street Productions and presented by Playtone.